Hi everyone, I’m Addie K Martin of Culicurious. I live in New Orleans, and I’m originally from a very small town called Golden Meadow, in the heart of Cajun Country in South Louisiana. Food is a big part of the culture and daily life in my hometown. And also here in New Orleans. When we’re eating lunch we’re usually talking about what we’ll have for dinner. Here in South Louisiana, we don’t eat to live, we live to eat. Everything we do is focused around food. And that’s pretty awesome. I had the good fortune to grow up in a household where home cooked meals abounded. My mother was and is a very active home cook who had a very wide cooking repertoire. 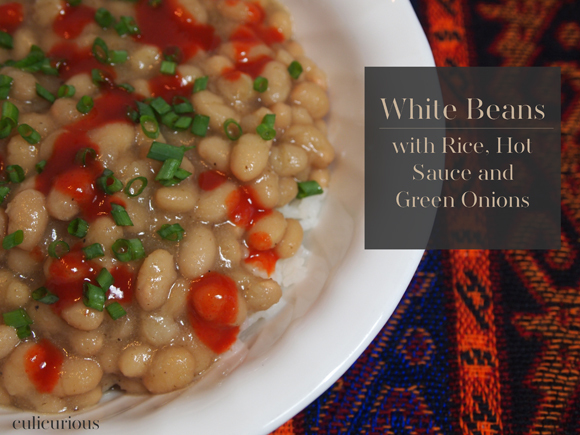 We grew up eating Cajun classics like gumbo, shrimp stew, crawfish (or shrimp) étouffée, redfish court bouillon, jambalaya (both red and brown), and boat loads of beans (red or white) and rice. We also had a wide assortment of fried foods: shrimp, oysters and many types of fish. Of course, special treats included crawfish, crab and shrimp boils, but my dad was usually the one doing all that heavy lifting in that arena. My mom also cooked great American dishes like spaghetti and meat sauce, baked chicken and curried rice, spinach pie (aka quiche), fried chicken, stuffed breads (homemade bread stuffed with a ground meat and cheese mixture), roasted meats (pork, chicken or beef), and the best spread of Mexican food I ever have seen. 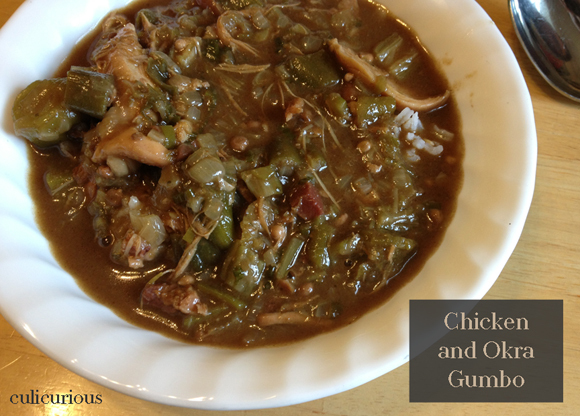 While we ate primarily South Louisiana foods, we still also ate these American foods quite often. We rarely ever ate out at restaurants. That was mostly unheard of. Nearly all of our meals were prepared by my mom at home. And we ate very well, as you can see. So now that you’re hungry from me setting my childhood home food background, I want to dive into how all this fits into and influences what I do now in my own life for cooking and food. The first thing I can say is that having a mom who cooked nearly all of my meals helped me to know that food is primarily cooked at home. Even when I was in college before I knew how to cook, I was buying foods to cook and prepare at home. It seemed natural to me to cook at home. I would even make things like roasts and spaghetti. I always remember knowing how to do that stuff. Growing up in a food-centric culture also heavily influenced my decision to attend culinary school. I had the fortune of attending a public university that also houses a culinary school so I was able to go to culinary school and get my degree all within about 5 total years. Thankfully many of the classes I took switched over and helped me fulfill those requirements. I loved culinary school so much. I loved learning how to prepare food and really think about it from a scientific and technical stand point (I’m pretty left-brain oriented). We even had a Creole and Cajun Cuisine class which was pretty amazing. I learned even more about my native cuisine than I’d ever known. And now, some 10+ years after earning my college degree and some 15+ years since living at home, I feel like I am finally growing into my own with cooking. I cook primarily with seasonal ingredients, buying local wherever I can. I also use very little processed food in my kitchen, much like my mom used to cook for us when we were growing up. While we do eat out about once per week, I am the primary cook in our house (which makes sense since I am a full-time blogger working from home), and I take that job very seriously. Today I take those values my parents instilled in me at an early age and apply them to my every day cooking. There’s still nothing better than a huge pot of gumbo to feed friends on a Sunday afternoon while watching a Saints game. 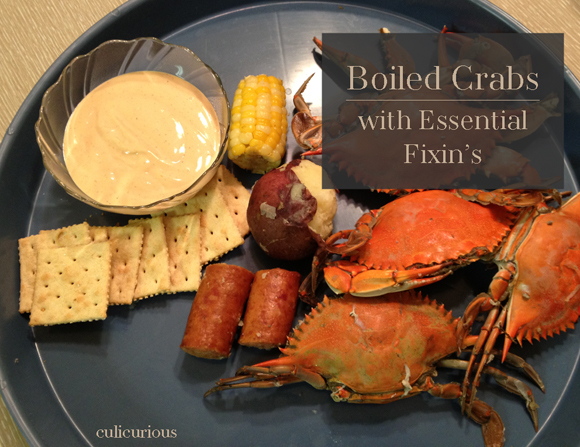 My sister and her family along with me and Jeremy (my husband) still hold several crawfish, shrimp or crab boils each year. The seafood is still very affordable overall so we love to indulge as often as we can. Golden fried shrimp po’ boys are still one of my favorite things on the planet. Period. In an age where traditions are being shoved by the wayside, I aim to keep mine alive and well. 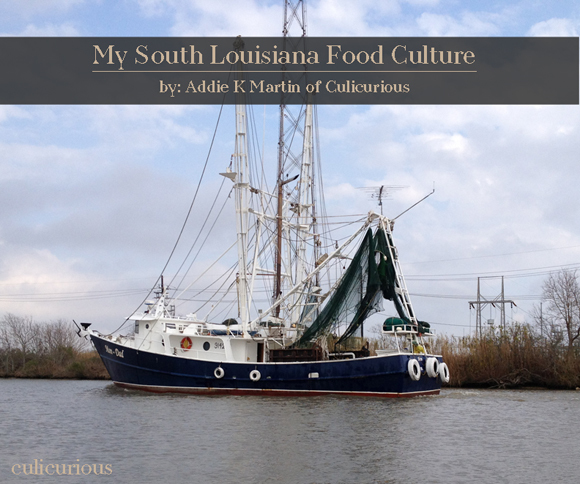 I seek to help preserve the cooking and food traditions of my South Louisiana culture. It’s actually very easy for me to do since I still live in New Orleans, only 50 miles from my hometown. But I do try. Because I must. The only way our cuisine can continue is to keep making the dishes and teaching the younger generations how to do it, too. What about you? Do you come from strong food culture background? How does it affect your life today? And finally, since you’re one of Jenna’s readers, check out her food culture post on my site today. If you’d like to connect on social media, follow me at @culicurious on Twitter, and you can also like my page on Facebook. Great story Addie! I was born and raised in Galliano, LA and I was raised the exact same way that you were. With my father being a commercial fishermen and my mom staying home with 6 children, I can relate to your story easily. It’s been 34 years since my father went to be with the Lord, mom is still kicking and is still the sweetest woman in my life. I have since then moved to Saucier, MS, but the bayou will never change its Cajun heritage and that’s good! The memories are and will always be in my heart and no matter where I live I have the cajun cooking deep down in my heart. God Bless! Gee…Addie! You sure make your Momma proud!!!!! I am learning new things about you all the time, Addie. While I knew you has restaurant experience, I had no idea you’d attended culinary school, too! That has always been a dream of mine!